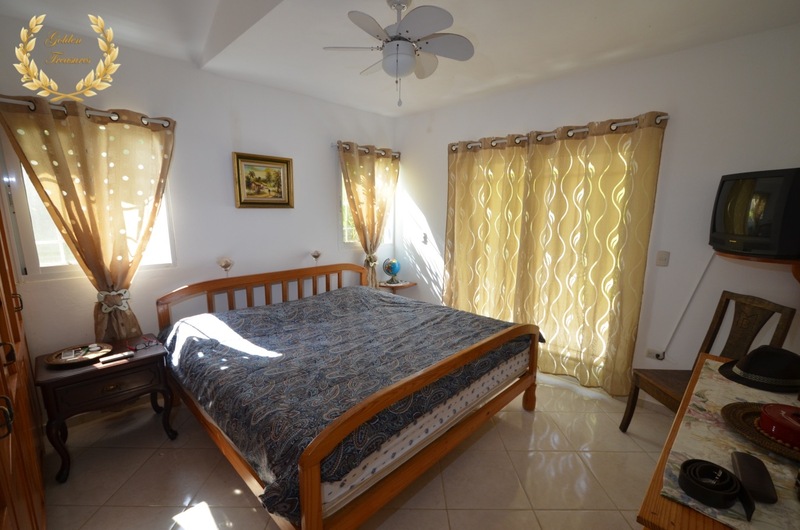 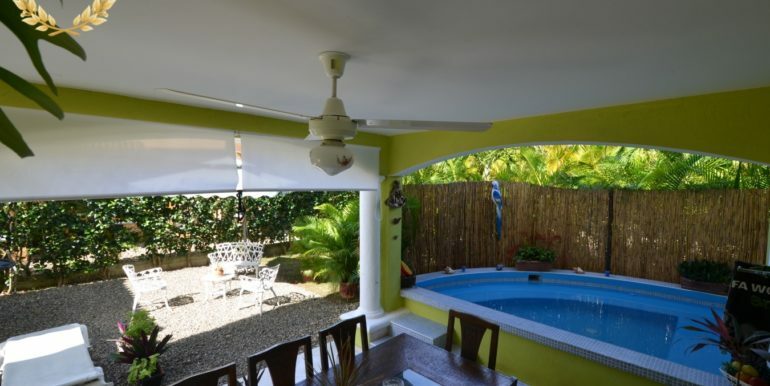 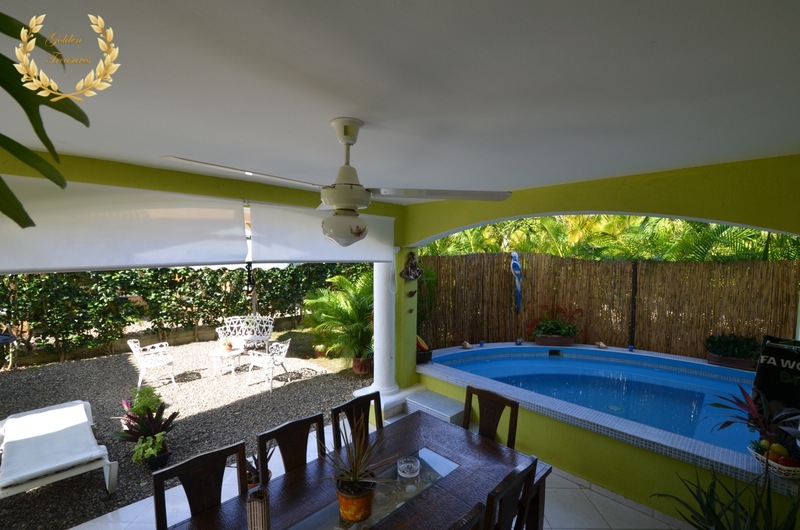 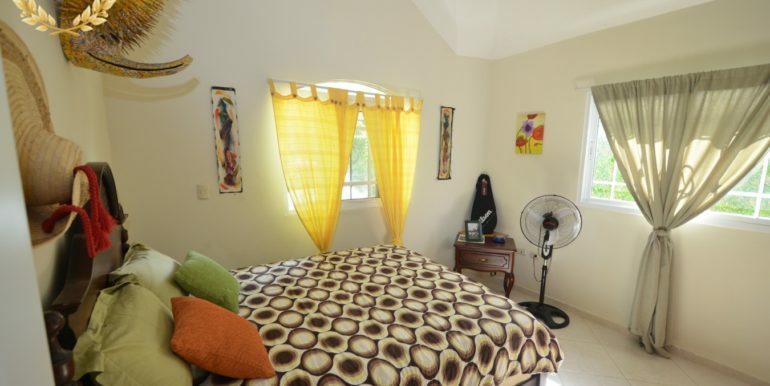 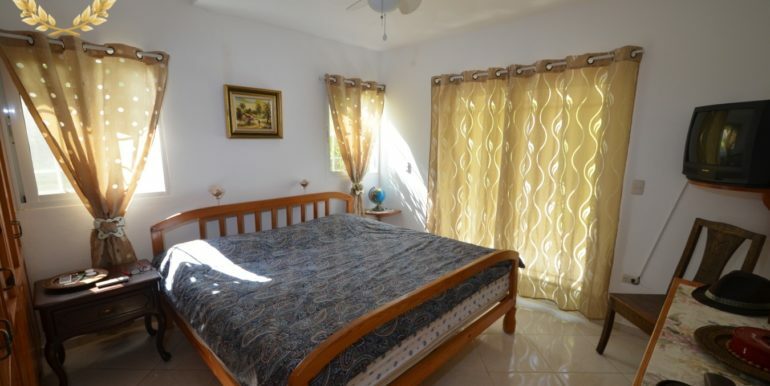 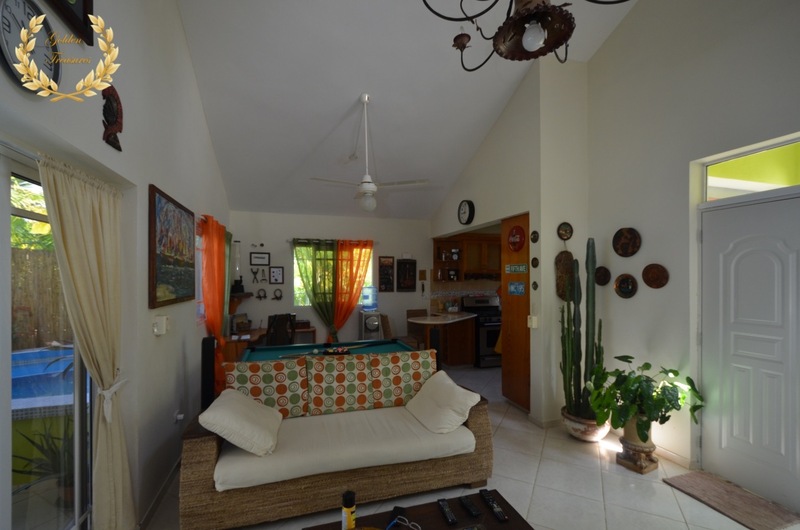 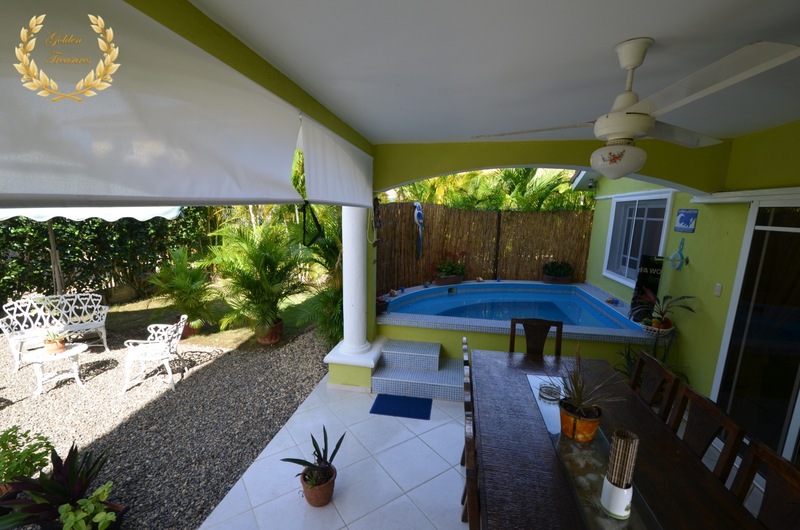 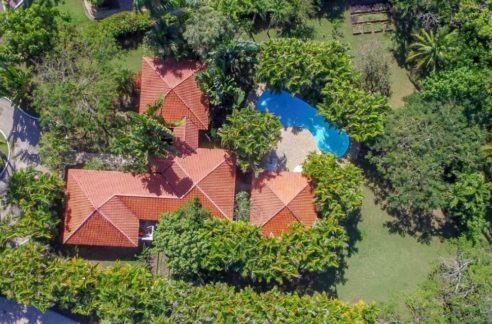 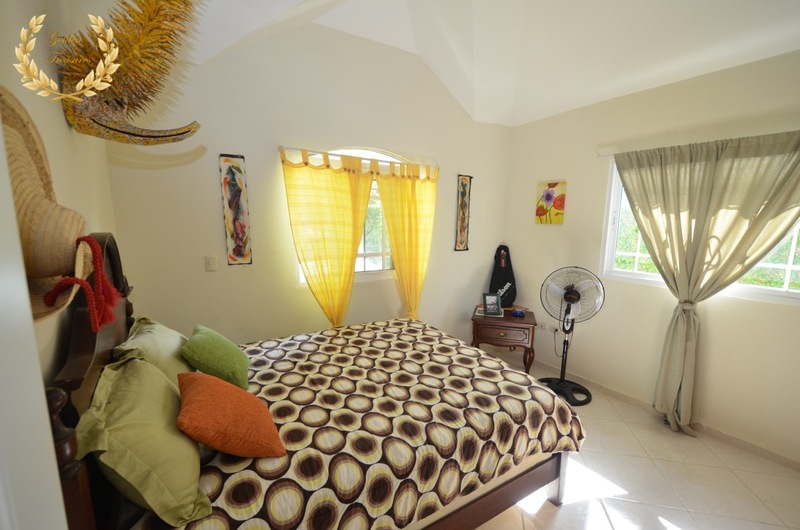 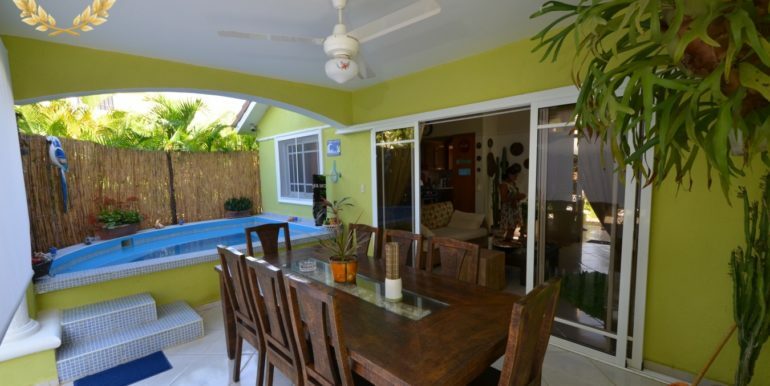 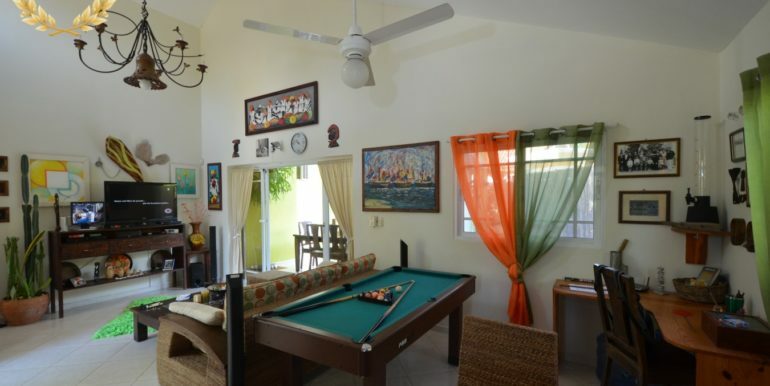 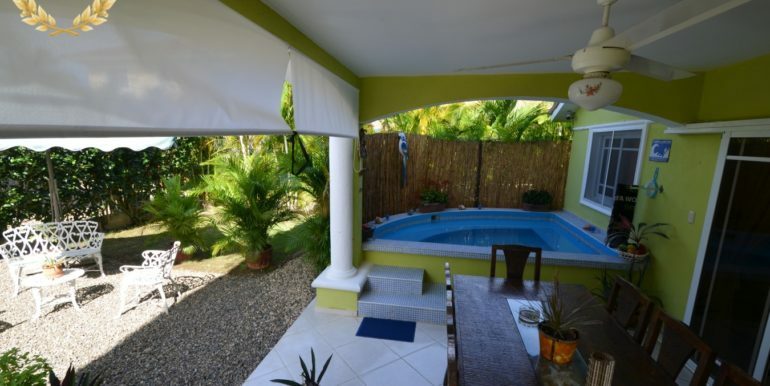 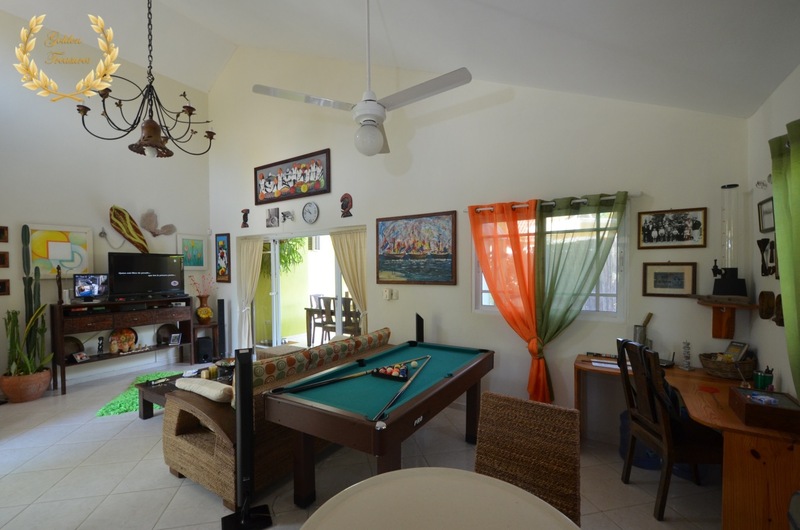 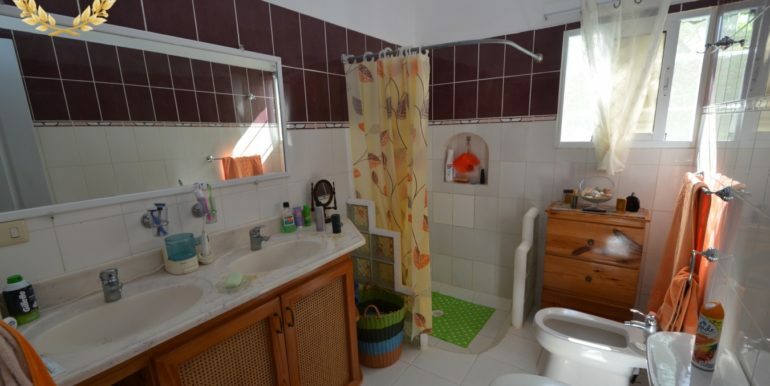 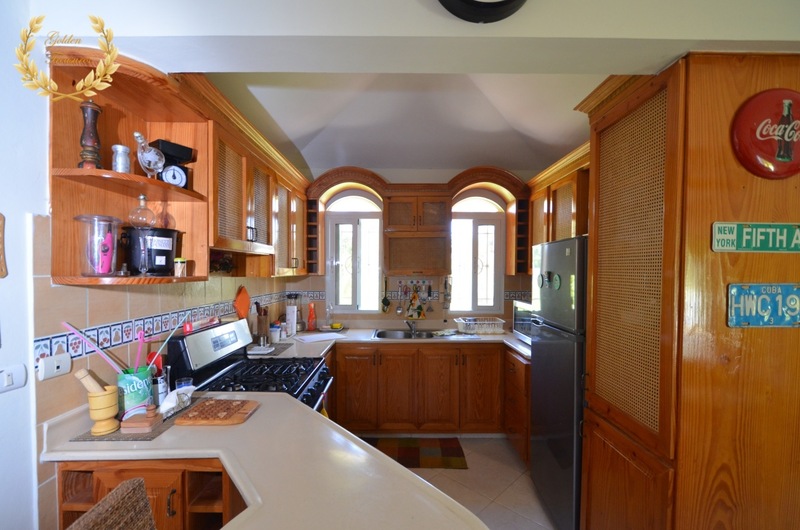 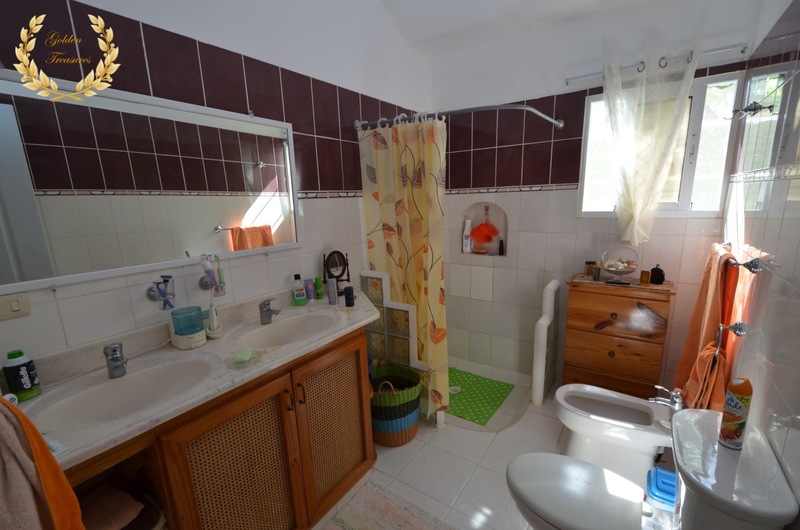 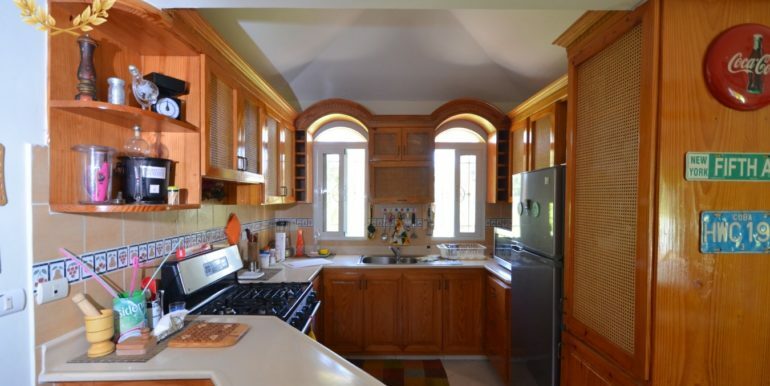 This gorgeous, affordable house for sale in Sosua has a distinct design, spreading on a 2 level, 3 bedroom and 2 bathroom layout that includes 2 bedrooms and 1 bathroom in the first level, and a second level studio with kitchenette and bathroom. 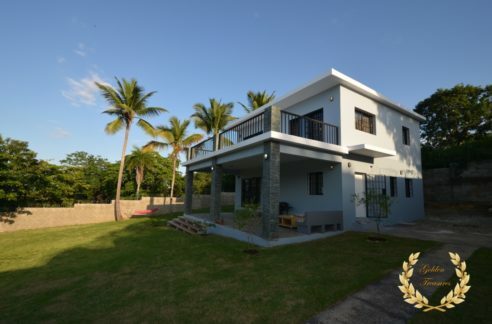 The main entrance has a front lawn with parking area to its left, and a classic facade with an arched portico supported on white Doric pillars. 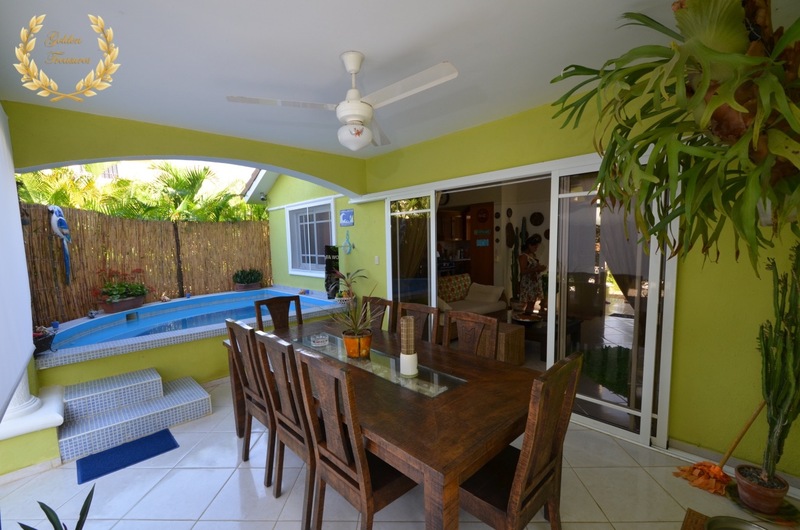 Inside, the airy living room feels open, connecting all main areas: a well-proportionate kitchen with extending breakfast nook, the main suite bedroom, a full bathroom, a second suite and the large Jacuzzi terrace with covered dining table and vertical shades. 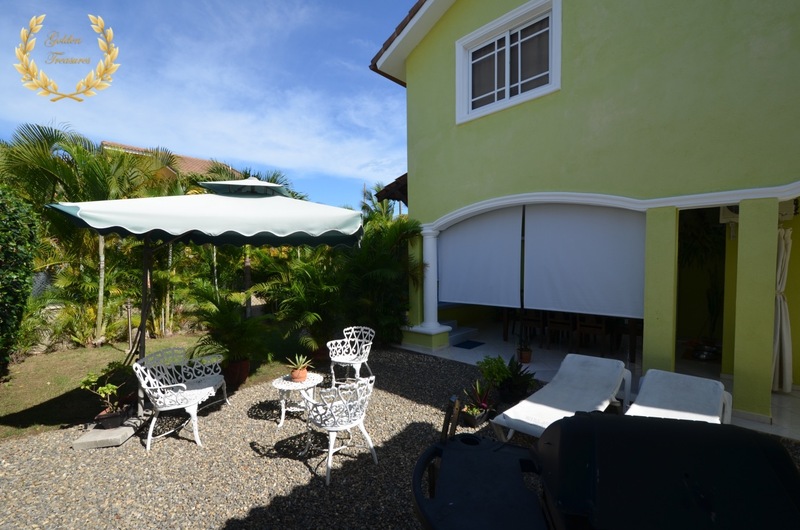 A garden area with BBQ in the patio has chaise lounges and the alfresco dining area to entertain friends and family. 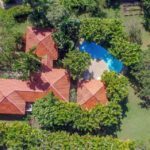 This house is equipped with CCTV and alarm, and is definitely dog friendly. 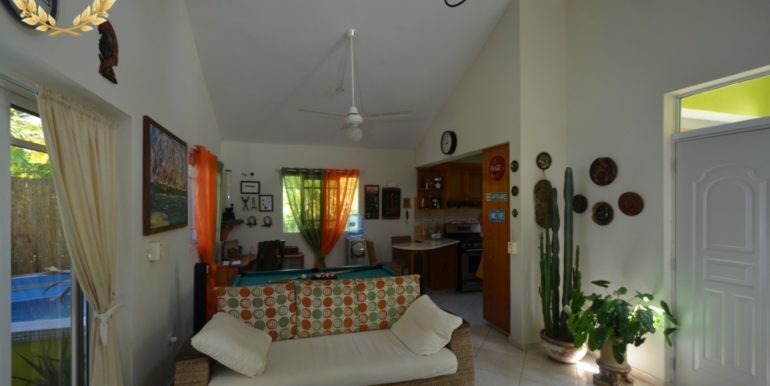 The second floor studio is accessed through a winding staircase that leads to a balcony and the studio entrance. 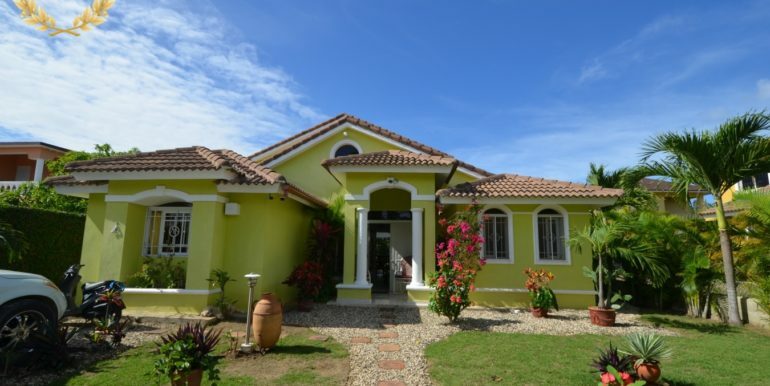 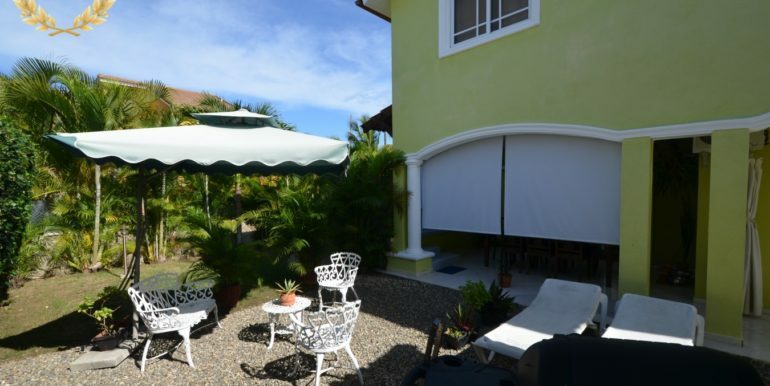 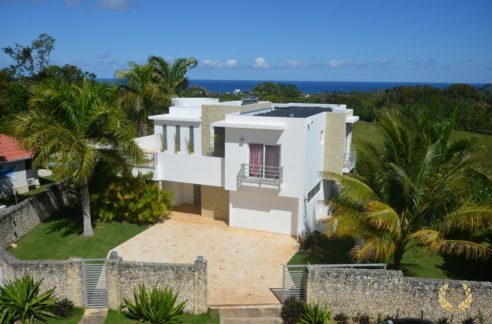 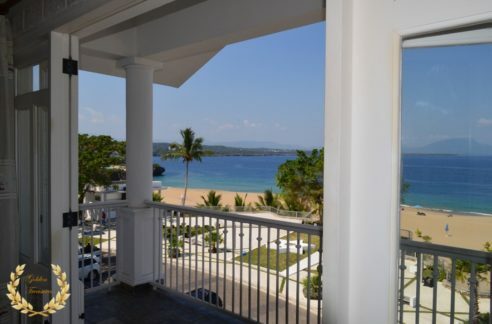 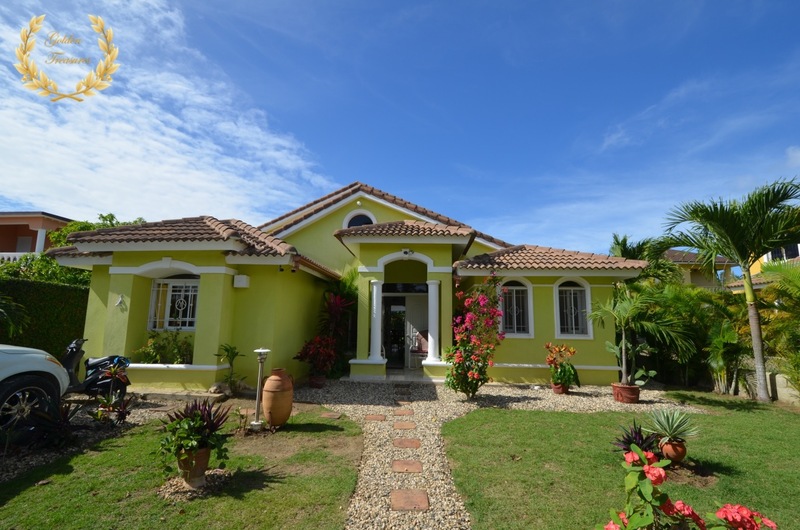 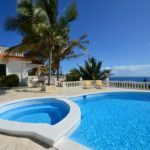 Buying an affordable house in Sosua is now possible through properties like this, of European quality. 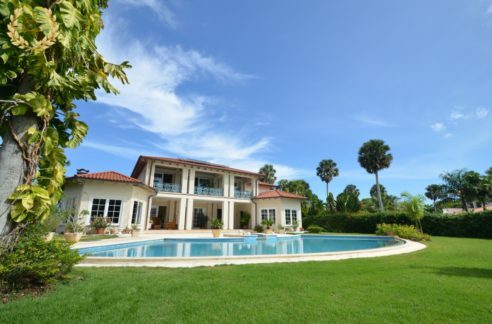 The land size is 400m²= 4305.564ft² and the house size is 157m²= 1689.934ft².